Can I get a dollar for every time a CEO tells me “It’s not about me”? It’s annoying and untrue. Frankly, it makes me trust you less. You set the standards and the pace. You set the vision. You set expectations. You motivate and engage your team and their teams. You do the things only a CEO can do. So, explain to me how it is not about you? If that makes you uncomfortable (and I don’t think it does), you probably should reconsider your role. I hear younger CEO’s declare this more often than others and I get it. You’re going for humble. 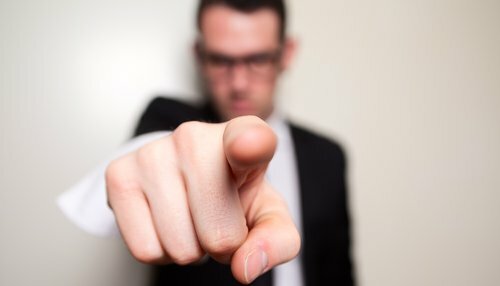 You want people to like you (Yes, you do and it’s okay.) You want to be the anti-leader who champions the team. You should be that way but you’re in a role that expects and requires more than that. People are watching. They’re watching every action you take and every decision you make (Synchronicity circa 1983). People want to have confidence in you. They want to know your decisions are solid. They want to know they can trust you. They want to know they have a strong leader who’s in charge. The best leaders know that. When you’re the CEO and the company is doing great, guess who gets the majority of the credit? The same is true when the company isn’t doing well. You’ll get the majority of the blame. Either way, it is about you. You can still act humble because humility, like grace, is a behavior that complements everything. It means you’re willing to hear feedback and learn from it. It means you empower others to learn and develop. It means you’re courageous and will do what’s right for the company. There’s a lot that surrounds humility and it’s critical to great leadership. However, at the end of the day, no one else is the CEO. And no one else can do what you do. What do the great CEOs do? They own it. Watch my latest CEO Forum coverage on 2016 Employee Engagement Trends with advice from David Niu, CEO of TINYpulse, Henry Albrecht, CEO of Limeade and Mike Metzger, CEO of PayScale. Thank you to our sponsor, Ryan Swanson Law.